This image made from video released by Qasion News Agency, a media opposition platform that relies on a network of activists on the ground, on Friday, April 29, 2016 shows people scrambling through rubble following airstrikes in Aleppo, Syria. With the two-month old cessation of hostilities in Syria rapidly disintegrating, the United States is finding itself in an increasingly uncomfortable position, trying to expand cooperation with Russia while not simultaneously playing into Russia’s hands. The latest example of Washington’s quandary played out Friday as U.S. and Russian officials worked to reinforce cease-fires in Latakia and Eastern Ghourta, including talks between U.S. Secretary of State John Kerry and Russian Foreign Minister Sergei Lavrov. “This is not something new but really a constant effort on our part, particularly with the Russians,” a senior State Department official said Friday, adding the status of the northern city of Aleppo was also a deep concern. “We’re talking to Russia urgently about it in terms of de-escalation and reducing or diffusing tensions there," the official said. 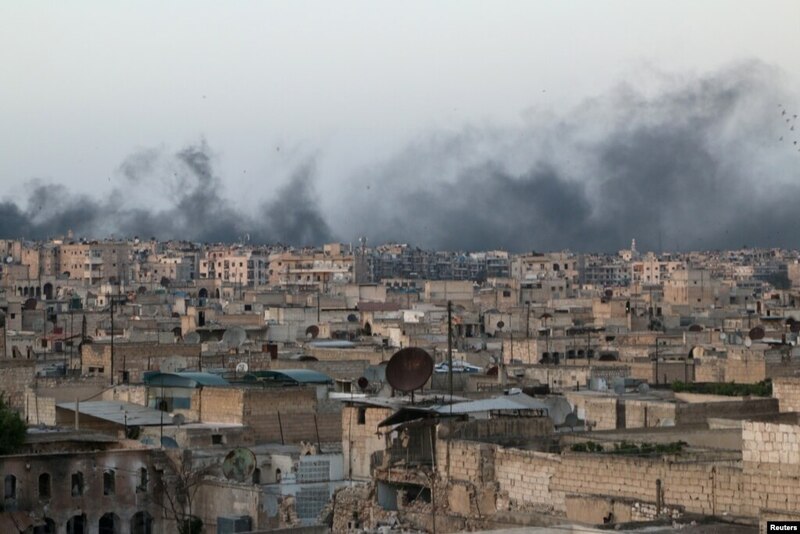 Smoke rises after airstrikes on the rebel-held al-Sakhour neighborhood of Aleppo, Syria, April 29, 2016. Whether the talks are ultimately successful in averting a worsening humanitarian disaster remains to be seen. 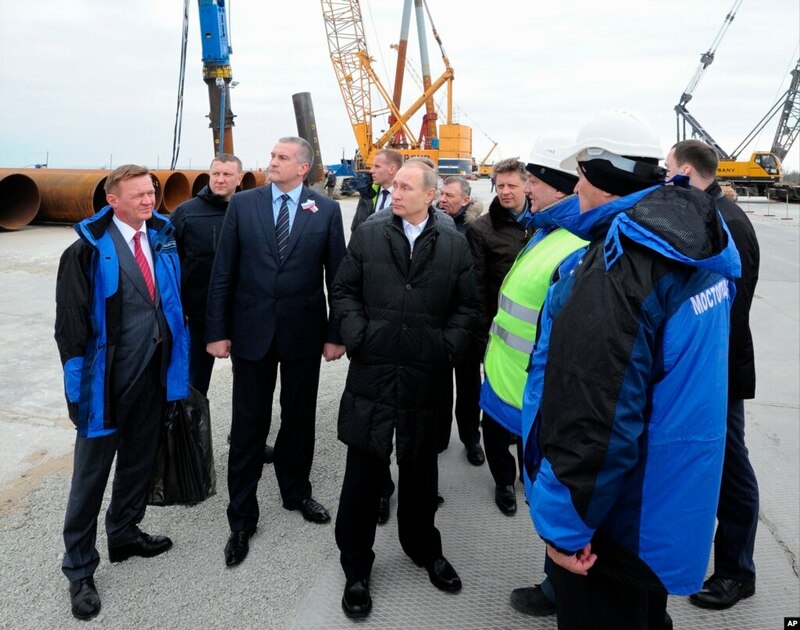 But there are significant, lingering doubts that Moscow is interested in anything more than just talks. 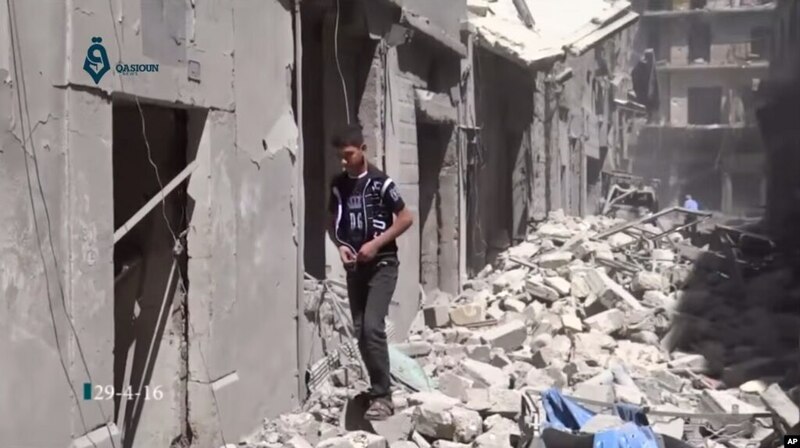 “Despite holding back initially, Russian forces in concert with [Syrian President Bashar al] Assad, are violating the cessation of hostilities,” a U.S. intelligence official told VOA. For weeks, U.S. military and intelligence officials have warned all indications point to an eventual Russian-backed assault on the city. And the recent spike in fighting, described by the United Nations as “monstrous violence,” is reinforcing the notion that what Russian President Vladimir Putin is after is something other than peace. “They would like a foothold in Syria so they can be a player,” a U.S. official said on the condition of anonymity, noting the Russians already have plenty of military capacity. “There’s a move to be able to have that long-term capability,” the official added. Still, Syria seems to be just one part of Russia’s long-term plans. Some U.S. officials have downplayed the link between Russian involvement in Syria and Russia’s plans in Ukraine. However, some analysts caution that could be a mistake. “I think the Russians look at the Middle East as a land of opportunity,” said Reva Goujon, vice president of global analysis at Stratfor, a U.S.-based intelligence company. For now, at least, it seems the strategy is working with the U.S. forced to deal with Russia in Syria while Washington’s European allies worry about Russia’s involvement exacerbating the migrant crisis. Yet there have also been some cracks. “The open question is how long Putin will allow Assad to be in charge and put Putin’s gains at risk,” a U.S. intelligence official told VOA. There is also the complicated relationship between Russia and Iran. Escalating tensions with Turkey could also help to derail Moscow’s plans. Despite getting the U.S. and its Western allies to the table, Russia has yet to translate its leverage in Syria into concessions on Ukraine or elsewhere in Europe.